The Stork to Standing Bow Exercise is a great way to improve your balance, flexibility and stability, for a more graceful and consistent golf swing. The Stork to Standing Bow Exercise forms part of the Golf Balance series of innovative and dynamic exercises that will develop your balance and body awareness for improved consistency and ball-striking from any lie, and for a more efficient golf swing, enabling you to generate more power while maintaining a solid base of support. Figure 1. Stork to Standing Bow Exercise Video. Start by standing in perfect posture, your knees unlocked, your arms at your sides, and your shoulder blades back and down. Slowly lift your left foot behind you, bending at the knee, and take the top of your foot in your left hand. Raise your right arm, reaching towards the sky. Slowly tilt your body forwards, bending at the hip and pushing back with your raised leg, until your torso and raised thigh are almost parallel to the ground. Hold for 3 deep breaths, in and out. Slowly return to the starting position and repeat on the other side. Repeat for the desired number of repetitions on each side. Maintain perfect posture, keeping your chest up and back straight throughout. You should feel a stretch in your hamstrings as your standing foot and lower leg working to keep your balance. For more of a challenge, try performing this exercise with your eyes closed. Golf Performance Programmes – the most effective golf-specific fitness regimens on the planet, guaranteed to make you a better golfer! 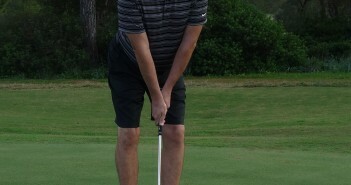 There are a number of other golf-specific balance exercises in the Golf Loopy Train like a Champion System. The Golf Loopy Perfect Warm Up, an exercise routine that has been scientifically designed to prepare your mind and body for playing golf to the best of your ability in just 7 minutes. Introduction to the Swing like a Champion System. » Train like a Champion home page. 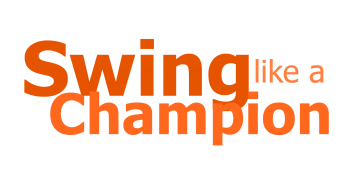 » Swing like a Champion Home Page.